U3A (University of the Third Age) is a learning co-operative for 'third agers'. It is committed to providing life-long opportunities for people no longer in full-time employment and contradicts the view that there is inevitably an intellectual decline as people become older. International experience has proved both that older people are able to organise interesting activities and that there is a wealth of skill and knowledge available. U3A aims to provide stimulating courses where knowledge can be shared and new skills learned. The accent is on learning and fellowship. U3A began in France in 1972, under the aegis of the University of Toulouse. With its spread to the UK and the realisation that Third Agers had the skills to organise and teach their own autonomous learning groups, the nature of the organisation changed and this model has been adopted enthusiastically in more than 30 countries around the world including Australia and New Zealand, parts of Europe and even Russia. 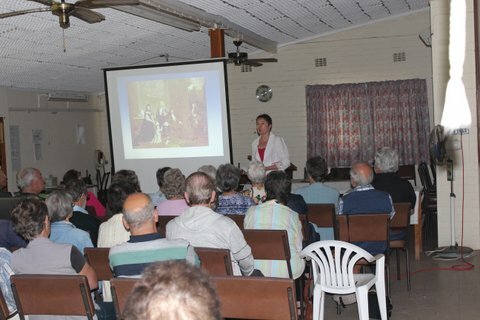 U3A came to RSA in 2000 with the formation of a chapter in Cape Town. Johannesburg followed in 2001. U3A was brought to East London in 2004 by Sally Fletcher who is still an active member. Currently, it has 260 members. There are now 26 chapters around the country with over 11 000 members still gaining knowledge and skills and sharing this with others. The National Website https://sites.google.com/site/u3asafrica/home gives further information and also useful input on other issues affecting retired people. To provide intellectually stimulating programmes for its members who are not working full time or are in partial or complete retirement. To deliver these programmes through a voluntary, self-help community. To promote social interaction between the members, all of whom enjoy equal status. To promote improvement in the quality of life of members. To promote the sharing of ideas, interests and enthusiasm of the members. We are a non-profit Public Benefit Organisation. None of our officials or course leaders is paid for their services. A committee is elected annually at the AGM, normally held in August, and is empowered to run the affairs of the chapter. Committee members cannot serve more than three years without a break.